Here come the 57s ! 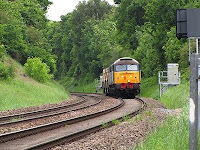 57008 + 57009 are seen working the Bridgwater - Crewe flasks past East View Rd on 26th May. 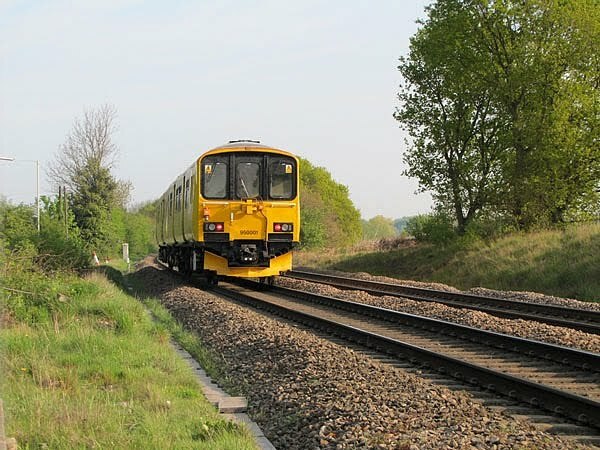 Also snapped by Richard on 20th April was 950001, the Derby test unit (ex Class 150).